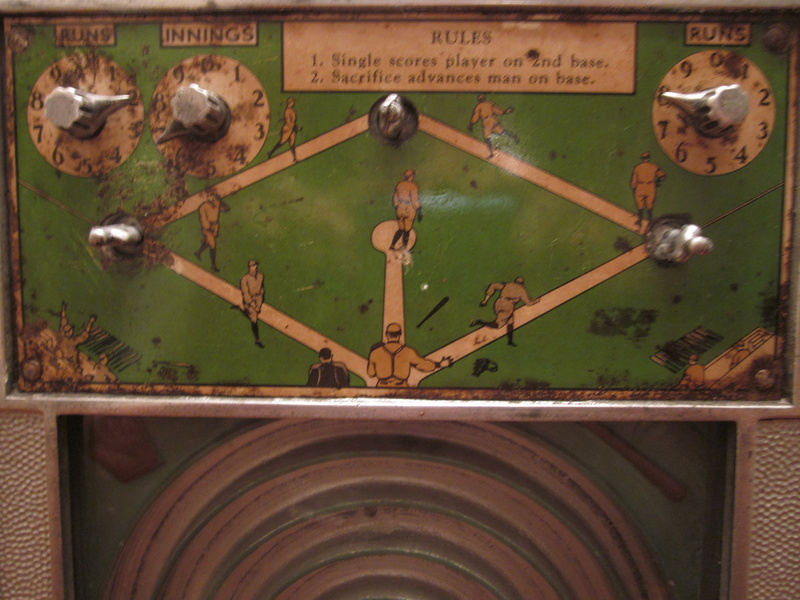 1931 Countertop 1 cent baseball game. In Coin Operated > Show & Tell and Baseball > Show & Tell. 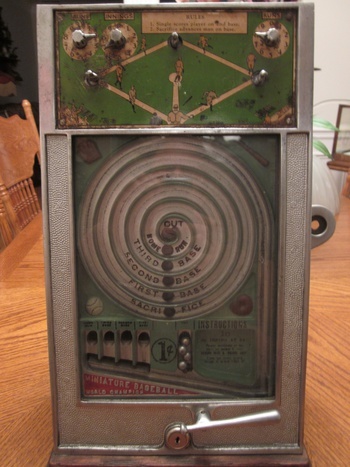 circa 1931, one of the classic countertop baseball games. 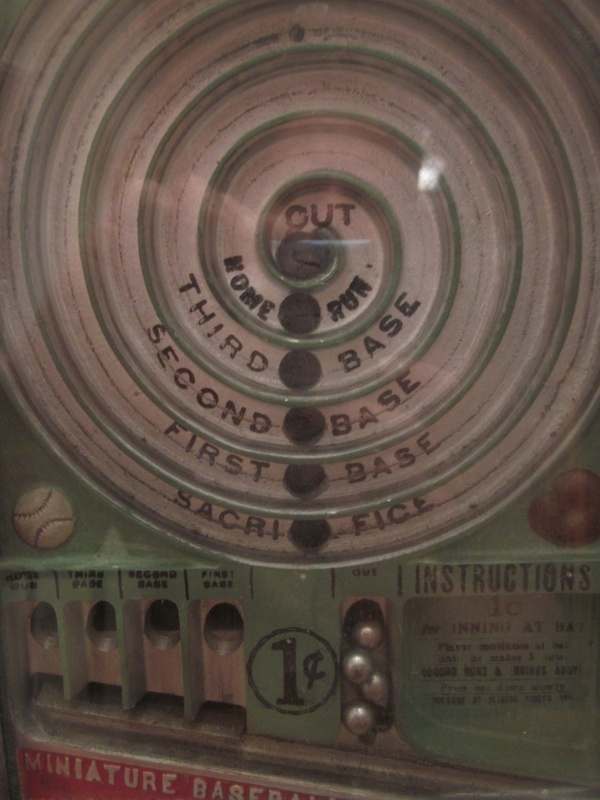 Play until you get three outs. Flip balls to get base hit, doubles, triples or home runs. Keep track with dials on top and by pulling out little men when a player is on one of the bases. 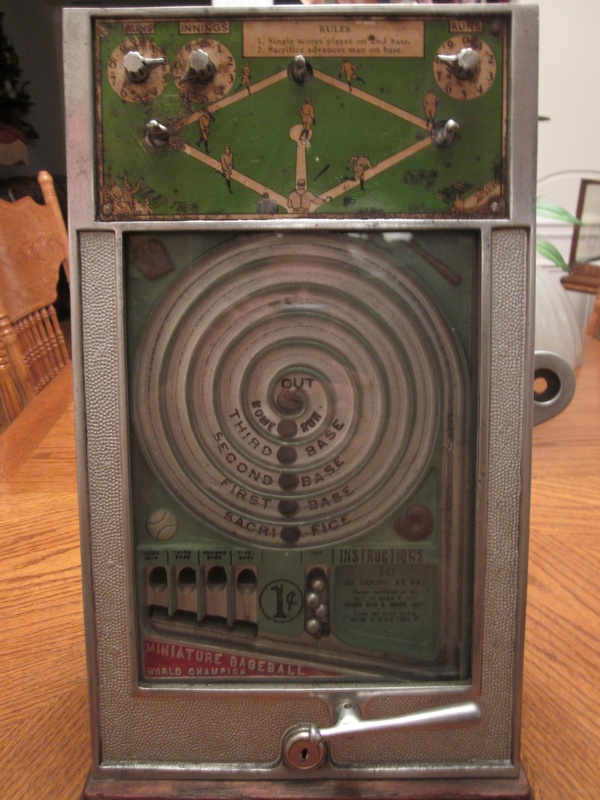 With the popularity of baseball in the 1920's along with Babe Ruth himself, these games were very popular in drug stores and gas stations. Works perfectly, my 5 year old daughter loves to play it. Hope you enjoy pics! That is amazing! What is the story behind it? Where did you find it? Thanks dshipes1, I was at the right place at the right time, got it from a museum that was selling a few things off. I saw one of these today but it was in terrible shape! I was wondering what is the value on this item? Thanks for the inquiry Tom, I'm really not sure, I've never had it appraised. Thanks Dusty, this is one of my favorite toys in the whole house! Thanks Heidi, If I come across another one, I will keep you in mind. Good luck with your store! Thanks Finelines for the love! Thank you sandhardin and crswerner for the love! Thanks AR8Jason, thriftstoreaddict, aycockonxion, and longings. man chevy, how many moving parts you think are in this? i didnt even have a clue what this was from the "title" picture. but this is cool!!! Thanks for the love mikie, I would hate to find out how many moving parts it does have if something did break. That is really neat.. 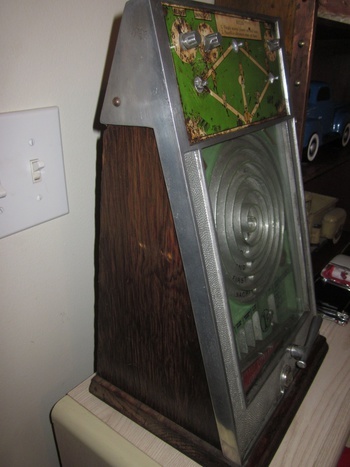 I have always looking for a smaller arcade game like those.. Thanks Dan, these are getting harder to find, I went to an auction the other day to try an buy a really rare 1 cent stimulator, thinking I was going to steal this thing, nope it brought almost a thousand dollars, there were phone bidders, internet bidders, and 3 or 4 people at the auction that also wanted it. You cant hardly buy anything cheap anymore. Good luck in your search!